“Since her studies Gisela Kulling is engaged in holistic forming – the sketch, design and manufacture. Over the years she has developed a style I would like to describe as ‘unobtrusive striking’: Common to all exhibits is the clear language of shape – they are never fashionable. Her courage and desire to experiment is shown exemplary in her ‘Closing needles’. Her rectangular rings are formally very clear, architectural – almost strictly. The combination of several rings with different cross sections give the work a special charm. Impressive is the sensitivity of Gisela Kulling, how she brings jewelry inherited to new life. Traditionally crafted jewelry – often in their ornamental floral nature – are redefined by her. 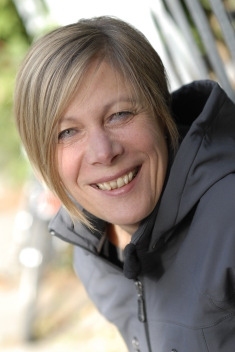 Gisela Kulling, born in 1955. Completed academic studies of arts. She lives with her husband in Bremen and is working there in her own studio. 1980 Work in the field of design and layout. Co-Setup of a printing shop in a northern district of Germany. 1985 Unaffiliated work in the field of design, manufacturing and sales of unique items and small series of knitting work. 1990 Completed training for IT administration. Subsequent design of IT profession manuals and tutorials. 2000 Unaffiliated studies and courses taken in Bremen, from 2003 to 2006 by master goldsmith Frank van Waegeningh. Since 2004 Own studies of design and material. Creation of her own style of juwelry.